Kemp Strang is an award winning commercial law firm providing specialist legal services to major corporations. 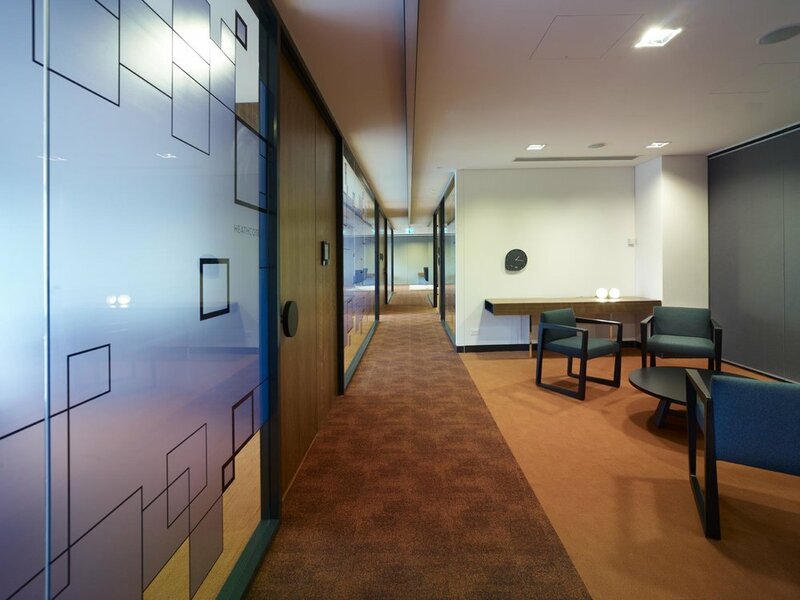 In 2011 FutureSpace worked with Kemp Strang to relocate them to new premises in the Sydney CBD. The brief for the project was to provide accommodation that was confident yet understated, welcoming whilst still commercial and bespoke yet progressive. It was important to the client that visitors got a sense of the professionalism and experience of the legal team through the workplace’s first impressions. The organization is spread over four floors including a client floor, 2 practice floors and a shared services floor. The planning is that of a ‘traditional’ legal fit-out with offices around the perimeter and workstations clustered throughout the internal areas. However best practice workplace initiatives have been embraced by providing good access to views and natural light throughout with well positioned and well appointed team spaces, including breakout spaces, libraries and informal meeting and quiet areas. The design concept is based around the idea of boutique hotel. The architectural details are bespoke and carefully considered; there is focus and attention to detail that is aligned with the quality of service that Kemp Strang’s clients receive. 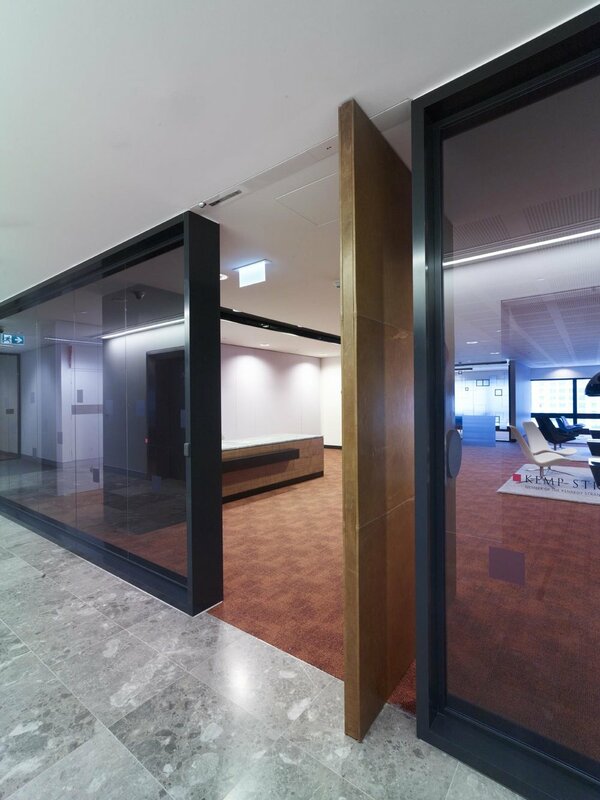 This element of the workplace goes beyond a traditional legal fit-out, particularly the colour and materials palette selected. A major component behind the success of the Kemp Strang project was the collaborative and communicative nature of the project team including the client, property advisors, project manager, builder and the design team.